Osaka Asian Film Festival 2018 Line-up Confirmed! 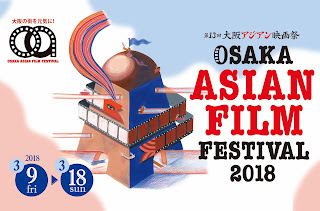 Osaka Asian Film Festival is held yearly under the theme of “From Osaka to All of Asia!” We are pleased to announce the line-up of the 13th edition of OAFF. The number of selected films is 52 in total, including 15 Competition films. We will screen 13 World Premiere films, 7 International Premiere films and 2 Asia Premiere films. Films from 18 countries and regions, including China, Hong Kong, Taiwan, Korea, Vietnam, Cambodia, Myanmar, Thailand, Singapore, Malaysia, Indonesia, the Philippines, India, Sri Lanka, Slovenia, Macedonia, the USA and Japan, will be screened. Name: OSAKA ASIAN FILM FESTIVAL 2018 (OAFF 2018) Presented by: Osaka Executive Committee for the Promotion of Moving Image Culture Dates: March 9 (Fri) - 18 (Sun), 2018 Venues: Umeda Burg 7, ABC Hall, Cine Libre Umeda, Hankyu Umeda Hall etc. This section will present 15 films chosen from films completed on or after 1st October 2016 and unreleased in Japan. The international jurors will choose the winners of the Grand Prix and Most Promising Talent Award. This program will present 14 films (7 features and 7 shorts) by new innovative and challenging talents. JAPAN CUTS AWARD will be bestowed by Japan Society to one selected Japanese film from this section. This special program highlights new movements in southeast Asia cinema, featuring wide variety of films, from action to art. This program will present Hong Kong films by a new generation of filmmakers in cooperation with Hong Kong Special Administration Region Economic and Trade Office Tokyo. In cooperation with the Ministry of Culture, Taiwan and the Taipei Cultural Center of Taipei Economic and Cultural Representative Office in Japan, OAFF 2018 will showcase excellent new Taiwanese films that mirror current Taiwan. In celebration of the 100 years of Philippine Cinema, OAFF 2018 will feature a wide variety of Philippine films, with support from the Film Development Council of the Philippines. This program will spotlight the alumni of the CO2 (Cineastes Organization Osaka) grant program. Based in Osaka, the Housen Cultural Foundation supports film study and production in graduate schools. This program will show the films supported by the Housen Cultural Foundation. One of the films, “Girl Returned,” has been selected for the Indie Forum section. 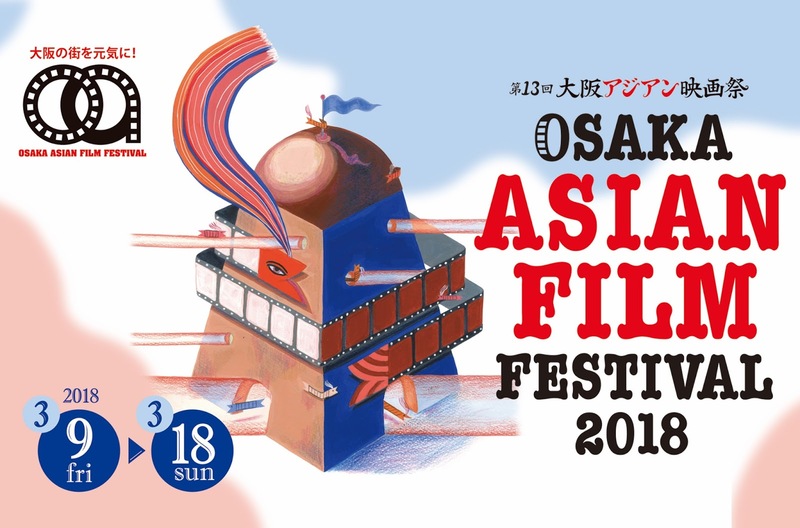 Asian Film Vault: Osaka Asian Film Festival 2018 Line-up Confirmed!